Zucchini will be in abundance in the summer at a great price. There are so many uses for these wonderful Italian green squash, from sweet to savory. Here is a quick and easy recipe that we have made for years. 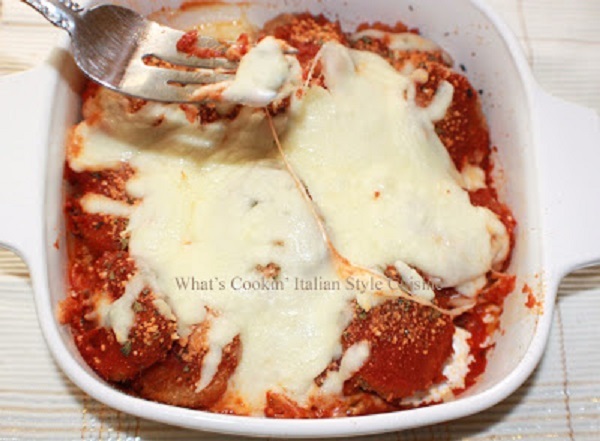 If your an eggplant Parmesan lover, your going to love this one too! Try some different spices like cayenne for some heat, or even some rosemary, thyme and remember fresh when available spices are best in flavor for any dish you make! Not interested in this one check out below some links of other zucchini favorites to try! In a large pie plate beat the egg adding 1/4 water. Place the zucchini in a ziplock bag and add the seasonings and spices to the flour and shake. Place one at a time in the egg wash then dip into the other bag filled with the panko bread crumbs. Place on a wax paper lined cookie sheet until all your zucchini is coated. In a large fry pan heat 1/4 cup olive oil and the rest Canola oil for the deep frying of the zucchini until browned on each side on medium heat. Set on paper towels to drain. Layer a greased deep dish pie plate with a layer or zucchini then generously sprinkled with grating cheese, herbs, a little minced garlic, marinara sauce then the mozzarella and repeat. Bake at 400 degrees until cheese is melt and starting to brown.